Two RT America shows are spreading their wings and crossing the ocean. Starting May 12 'Watching the Hawks' and 'Redacted Tonight' will be available to 700 million people in more than 100 countries. A trio of self-proclaimed revolutionaries has brought a new kind of talk show to the airways in Watching the Hawks. Sean Stone, Tyrel Ventura and Tabetha Wallace make up a new generation of co-hosts who focus on context and the broader pictures just as much as they do on the facts of the story in this current events show. ‘Watching the Hawks’ provides millennials with a unique perspective on the news – one that’s geared towards them. “[One] thing we have over other comedy shows is we are in [Washington] DC. We can go out in front of the White House and talk to people right there. John has been in the halls of Congress talking to people,” Camp told King. Team Redacted is excited for their show to reach a new audience. “I think our show would do well internationally just because people, when there are hard times and there are wars going on, when there is so much money in politics, when they are trying to make change but seeing all these barriers in front of them to try and make change – they at least want to hear that someone agrees with them and someone is making fun of it,” Feldman said. Watching the Hawks will air on RT International Mondays through Thursdays, starting on May 12 at 2:30am, 6:30am, 22:30pm, 2:30pm and 6:30pm Moscow time. 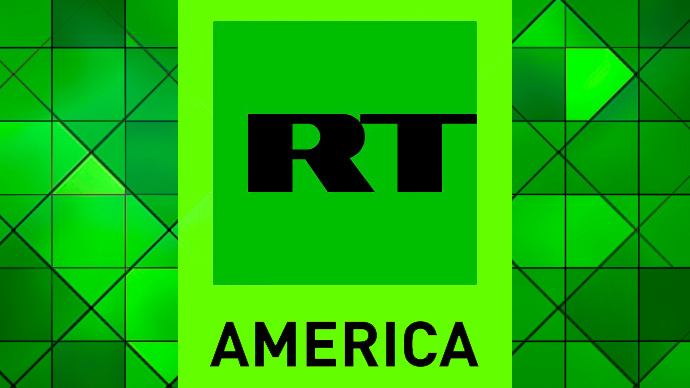 Redacted Tonight will air on Saturdays at 0:30am, 6:30am, 23:30pm, and 4:30pm GMT. In the United Kingdom, Watching the Hawks will air on RT UK at 2:30am, 6:30am, 10:30pm, 2:30pm and 18:30pm local time, while Redacted Tonight will air on Saturdays at 0:30am, 6:30am, 23:20pm, 4:20pm and 6:30pm GMT.